1. Elo, could you tell us where you’re from and how you got started in the field? pens that needed to be soaked in water over night. “What a mess it was”, (laughs) but I learned a lot from her as well!. 2. Elo, what gives you inspiration when starting a design project? How do you blend all of your ideas in a harmonious way? Well, my inspiration comes from various places: TV shows, patters, nature, magazines, or just from playing my games sometimes. There are days that my mind is a complete blank. And there are some other days that I get up in the middle of the night with a great idea. Then I either have to write it down or go to the computer and start working on it right away… Now, if I’m working with clients I have a questionare that I send to them to try to understand what they want me to do. Most of the time things go smoothly but sometimes clients have no idea what they want and it gets a little bit hard. In that case, I would say that, when working with indecisive clients it’s always good not to send them too many ideas. Limit yourself to 3 concepts. I like working with colors but I don’t like it when the colors overpower the final composition. So, I try to be really careful on that. It’s also good to know and understand color theory, color wheel, primary, secondary and tertiary colors. That helps to find the balance in the final composition. 3. 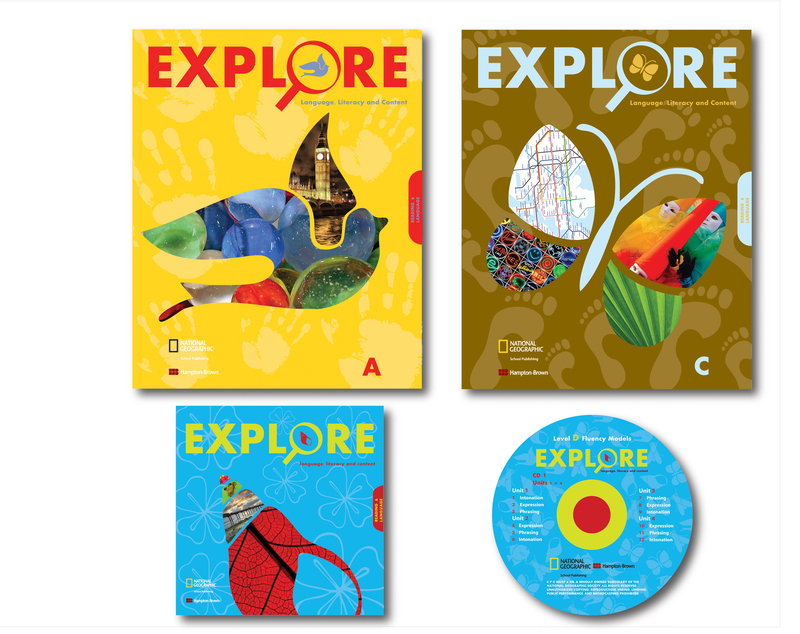 Did you study graphic design formally in school/college (did that include packaging & typography?) or are you a self-taught artist? And in your opinion what are the pro’s and con’s of each route? I went to a great Design School here in California and I got an AA( associate degree) in Graphic Arts with great professors. I’m specialized in packaging and print design. I think that when you have some talent school always counts and you can learn great techniques from other professionals. I have seen great design work from people with no schooling and I have seen portfolios from people with Bachelor Degrees that make me think ‘Ummm…really???’. So, I guess it all depends. School helps, It will also help to get technical if you’re not so talented. But school won’t make you. You are the only one who will find your own identity as a designer or artist. 4. How do you define yourself as a designer and what strong point do you think that every packaging designer should have? I define myself as an artist who has a design career for now. I think every packaging designer has to think ‘outside of the box’. It’s important to think about sustainability and about the practical part of the design you are creating. The most important thing is to think about the target audience you are designing/creating for, because they are the ones who are going to consume your product. 5. 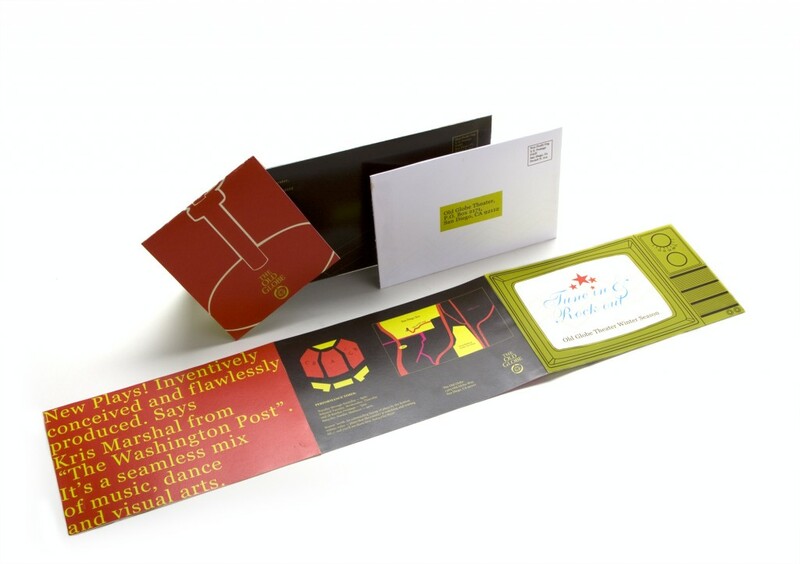 How do you feel that packaging design work differs from other areas in which you work? Why do you think that is? Well, I like packaging and branding the most amongst all other things that I do.. 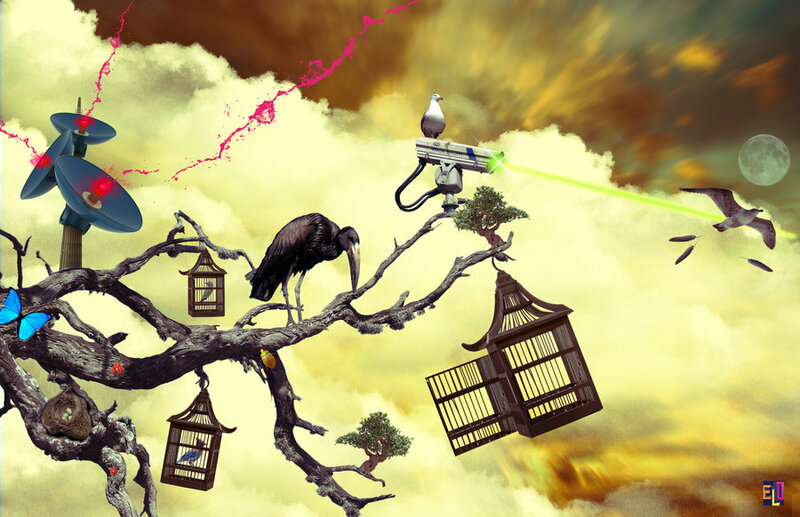 I also love what I have been doing at the moment, called: “Photo Illustration”. It lets me be very creative and show the ‘true me’ as a designer. But I think all areas have their own importance. Today as a designer you must know a little bit about everything. We are all visual human beings and we are surrounded by designs everywhere. From the time get up to the time we go to bed. If the color differs, if the shape differs, if the usage of the product differs, if you respect the visual hierarchy, the product will cause an instant reaction to the consumers and will stand out from the shelves. That’s when you know the design really works, when it stands out amongst others. 6. What’s your favourite piece of packaging design work that you’ve undertaken yourself and why? I’m happy with all my designs. I never put anything out there if I’m not 100% happy with it. 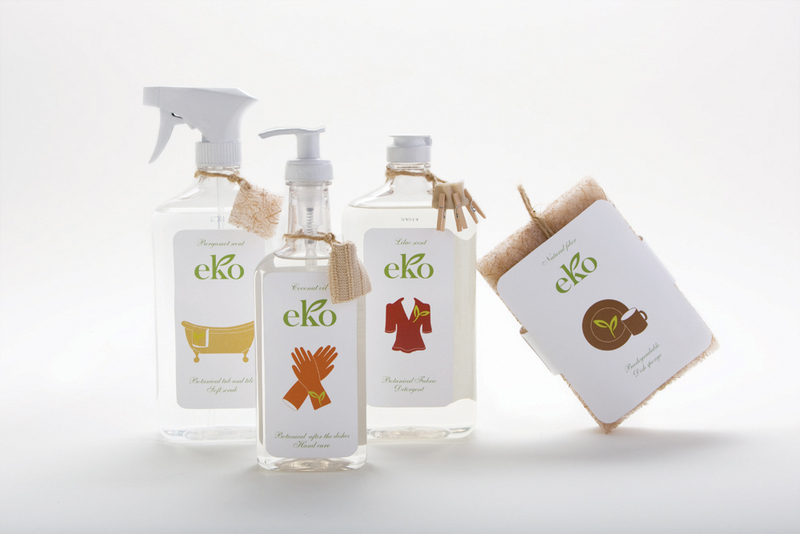 But one of my favorite pieces is my “Eko” Home Cleaning Supplies Design. I put a lot of thought into it. I was really happy with the overall result and I think I accomplished it beautifully, from the color pallet to the cohesion of the illustrations. 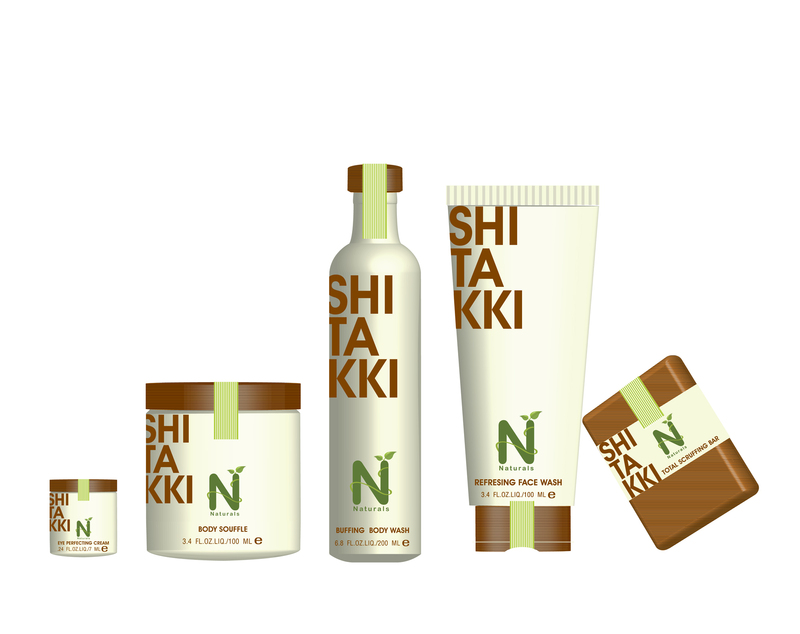 The design was recently asked to be featured in a Japanese magazine about packaging and design. I guess I can call it successful right?! (laughs). 7. What’s your favourite all-time piece of packaging design that’s out on the market (i.e. designed by someone else) and why? Oh Man…. that is a tough question for me ’cause I like so many designs. Target these days has great packaging designs. 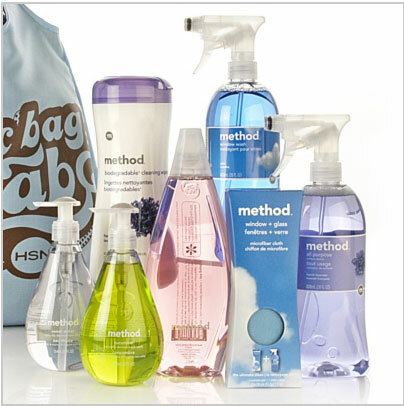 I like “Method” home products, I like “Scotch Brite” eco-friendly sponges, I like Paul Michel shampoo packaging, Aveda has great packaging and great ads as well, I like Michael Graves(industrial design) and Apple designs. 8. Thinking specifically about packaging design, who would you say provides you with “design inspiration,” meaning designers that you look up to; and also tell us why you feel this way about them, what makes them special? I try not to look much on already done stuff. So, this way when I design something I get my own signature to the product I’m working on. But there are tons of designers that I appreciate, I Like: Michael Graves(Industrial designs) visit his website at (http://www.michaelgraves.com/mgdg.htm) The guy is a genius. 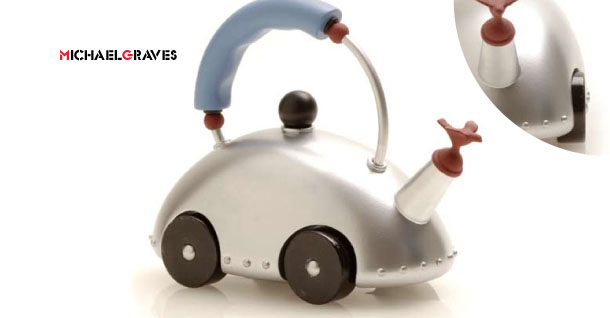 Everything he does has this round polished shape to it and when you look at his products you say: “That is Michael Graves”! 9. Any final thoughts for our readers? When you do something in life, do it with your heart. Always try to push yourself over the limit to get better and better. Read, undertake research, visit blogs, create your own blog, connect to some other groups. There are so many fantastic designers around the world. Never limit yourself. You won’t have fireworks all the time. And you might also find people with huge egos, who will try to cut you off or turn you down as in any other artistic industry. But if you stay true to yourself you will get there! 10. Elo, where can we find you on-line? That’s great. Thanks Elo and all the best for the future – you’re doing some wonderful work there – keep it up. As we move into the second week following the Haitian earthquake, things have been fraught for the local population, most of whom have been without food, water, electricity, or a roof over their heads. During that period dead bodies have been piling up all over the place, including hospital car parks where medical supplies have been in short supply and many of the surgical operations that have been carried out, have been done without anaesthetic. Although of no consolation to those that have perished over the past week, luckily the logistical situation is improving now that US ships have arrived and helicopters are finally getting to the places they are needed with those essential supplies. 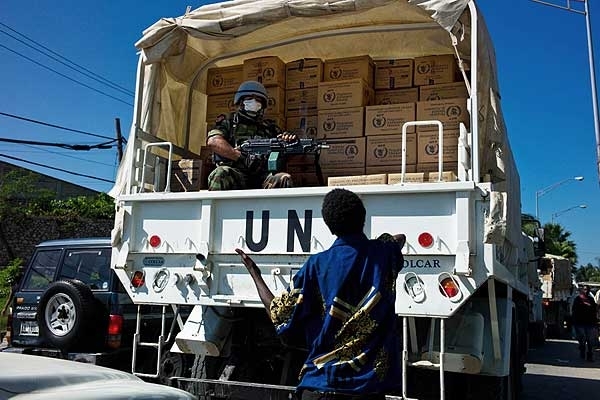 It is at times like this that we are reminded of the true worth of packaging, in an environment where there are no fridges to keep things cool and packaging has to perform an even more essential role than normal in a very hostile environment. The packaging contains, avoiding spillage. It protects against crushing, vermin & pilfering. It preserves, providing protection for the products within and extended shelf life. It enables ease of transport, whether by plane, truck or onwards by hand and lastly it informs, providing vital information on contents, storage, dosage and application. Increasing legislation v reducing pack sizes – the labelling dilemma! The normal packaging development process would involve firstly developing a pack to fit the product in an optimum manner. Then any legally required text would be positioned (including any required symbols, such as recycling logos). Finally the marketing requirements would be implemented, in terms of claims, branding etc. More often than not, there is then a need to go back to product marketers to get them to reduce their marketing copy on the packs, because it simply won’t fit……..and the situation is getting worse! A, reducing the font size – but this can have implications on readability, print process constraints and there is often a legal minimum size which needs to be adhered to. B, Using paginated label leaflet formats – where, on occasions, we have developed up to a 10-page concertina style leaflets. However, these multi-layered add-ons can add a huge on-cost onto the price of a pack – for which marketers don’t always want to pay. D, Finally, if all else fails, considering increasing the overall size of the packaging. 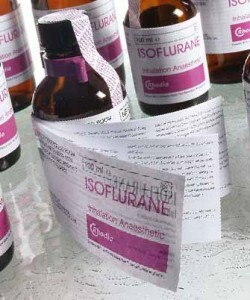 This latter route is sometimes unavoidable, especially with pharmaceutical packs, where the packs are very small, and even after taking measures such as reducing the bar codes from 13 digit to 8 digit, there is simply not enough room to display the mandatory legal minimum required text (let alone any marketing text). Furthermore, it is now the law for any new medicines to incorporate Braille on the packaging (it will be a requirement for all existing medicines by October 2010). This will have to detail the product name, the strength [of the medication] and the dose form – yet another constraint to bear in mind. New products also have to conform with the readability guidelines which are in place to ensure that the packs can be read clearly and understood by the patient/consumer). It’s worth remembering that it’s not just the basic information that one has to put on the pack. Very this has to be repeated it in a number of different languages. It’s not unusual for a European product to have a need for 12 languages. And then there might be a need to repeat ‘country of origin’ for every language, and could require five countries needing to be listed (for a range of ingredients). The result could be a situation where all one has room to display is a list of ingredients & addresses, and any wish for aesthetic beauty just ‘goes out of the window’. At Design Cognition, we review the whole space to find an ideal design that looks most aesthetically appealing and hopefully doesn’t look too cluttered – but it’s not always easy! Incorporating logos of different colours, or trying to mix varying colours of text with backgrounds, can add its own issues and problems. Sometimes ‘house colours’ do not lend themselves to readability, White text on a pastel or black background for instance, can be even harder to read, so we may need to redesign [the pack graphics], using the principles and processes detailed above. Overall our job is to develop a pack that is fit for purpose and not over-packaged. Things are becoming increasingly challenging but, so far our use of creativity and lateral thinking has provided a suitable solution. Moving forwards technology could aid some of the issues raised above. Nowadays, certain consumer/marketing information can be shown ‘on-line’, cutting down the need to put it all on-pack – maybe just a web address for further information. There have also been great leaps forward in microchip technology which will enable ‘talking packs’, ‘moving pictures’ and a whole new interactive consumer experience – taking packaging to a new level. These are all areas in which Design Cognition has a strong interest and is working with a number of suppliers to develop cost-effective solutions. 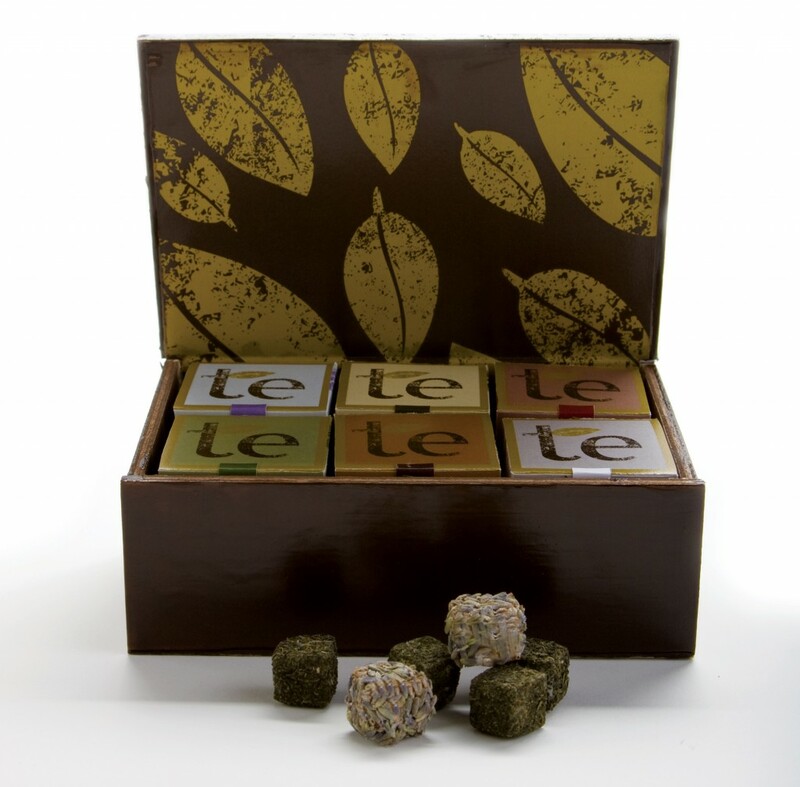 Appealing to consumers’ five senses through innovative packaging techniques can result in increased brand loyalty and greater impact at point of sale, and it is a key driver in confectionery packaging, according to the organisers of the 2010 Pro Sweets trade show. Multisensoric is an approach to packaging design that allows packaging to stimulate and arouse emotions in consumers to encourage purchase and examples include such elements as striking colour schemes, windows to view the product, exciting rustling sounds and foldout trays. The Pro Sweets team said that, as a result, the confectionery industry is increasingly focused on touch, sight and sound finished packaging elements such as foil lamination, textured embossing, and varnishes. via Multisensoric trend key to confectionery packaging, claims German group. From OUT-LAW News, 10/12/2009 and brought to our attention via @fmpickering - thanks Francine! Nearly half the people who buy counterfeit handbags buy the real thing within two years, according to an academic study. The research shows that fakes can create brand loyalty in the counterfeited brands. A researcher at Massachusetts Institute of Technology (MIT) who used to be a brand manager at luxury goods firm Louis Vuitton Moët Hennessy (LVMH) asked hundreds of fake bag buyers about their habits in an unpublished study ‘The Real Value Of Fakes’. Renee Richardson Gosline interviewed the consumers who knew when they bought them that the bags were fakes and found that 46% of them bought authentic branded bags within two years. “For some status-seeking people, at least, the social power of luxury goods means that consumption must not just be conspicuous, but real,” said a statement from MIT describing the research. Just a quick note to confirm that both Annie and myself have been honoured with the title of Chartered Environmentalist (CEnv) by the Society for the Environment, through our membership of the Institute of Materials, Minerals & Mining (IOM3) and because of our life-long commitment to developing sustainable packaging solutions in our day-to-day projects. It’s nice to have it recognised and, by implication, recognition of the fact that packaging actually provides a beneficial (environmental) role in society. BUT minimising the overall environmental impact through intelligent design of pack (primary, secondary & tertiary), using the optimum material specifications & most economical footprint possible. Acting as an internal consultants for marketers & other business stakeholders – advising on ‘fitness for purpose’ and ‘environmental best-practice’. Moving forwards, I pledge that Design Cognition will continue applying the principles of sustainable development and environmental responsibility in all of our work. As CEO of a company that not only develops packaging but also acts in a consultancy capacity (advising on packaging ‘sustainability’ & ‘the environment’) I carry the mantle with a great deal of pride and self-fulfilment – enjoying making a ‘real difference’ in the world. Through this ethos I will encourage all in Design Cognition to ‘live’ our environmental policy as a holistic approach to encompass not only work we do for clients but also in our day-to-day business activities. 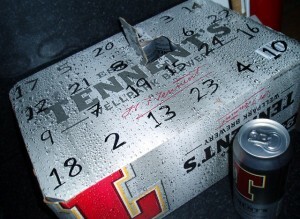 Advent Calendar – humorous variation – Move over Cadbury’s! While most Western manufacturers focus their marketing on the front of a product, a growing number of Japanese firms are branding the barcodes on the reverse as well. The black and white etchings contain sufficient detail to be recognised by scanners, while also incorporating the firms logo or an image associated with the product. via Branded barcodes cheer Japanese shoppers – Telegraph.